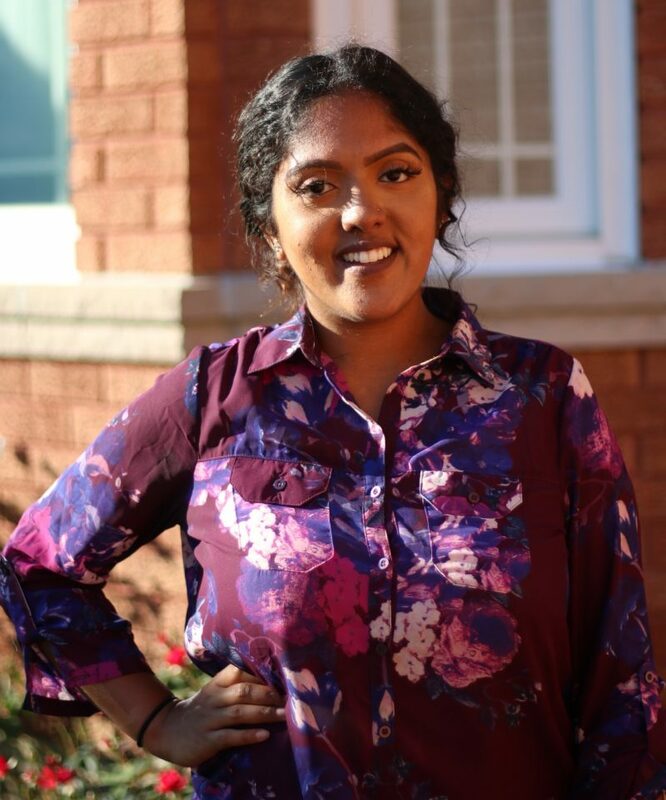 Tharsica Sivananthan is a Research Information Analyst at Ryerson University. She received a Bachelor of Arts in Criminal Justice, a minor in Psychology, and a post-graduate certificate in Human Resources Management at Ryerson University. Tharsica is currently volunteering as a Crisis Counsellor at Victim Services for the Toronto Police Service, where she provides crisis intervention, support and referrals/linkages to community resources to victims of crime and sudden tragedies. Tharsica was born in Toronto, Ontario, raised in Surrey, British Columbia, and last visited Sri Lanka in 2003. Tharsica will be placed in the position of Project Management Associate for approximately one month under the Associateship program with the Institute of Regional Development and Governance. We asked Tharsica to share some of her thoughts on her upcoming placement. As the days get closer and as I prepare to embark on this new journey as a comdu.it changemaker, I cannot help but think about how life changing this experience will be. I feel a little nervous but definitely more excited. I cannot believe that I am finally going to be fulfilling the promise I made to myself. Growing up, I have heard several stories about husbands being separated from their wives leaving the wives to be the sole breadwinners of the household and sons being detained by the military without a guarantee of returning home, just to list a few. These stories taught me the struggle my grandparents, parents and so many other families had to face. Years later, I remember hearing about thousands of innocent lives being lost and families being placed in refugee camps during the civil war in 2009. This is when I made a promise to myself that I will go back to Sri Lanka one day to not only discover my identity and roots but to also educate myself on the effects of the civil war as well as assist in bettering the lives of those living in post-war areas. I know there are plenty of wonderful organizations that focus on sustainable development in Sri Lanka. However, in 2017, I came across comdu.it via a combination of social media and word of mouth and they immediately stood out to me. What I liked most about them was that their main focus is on bringing awareness, sharing knowledge, and providing placement opportunities to working professionals, students, and senior citizens. I felt a strong connection with comdu.it, because I feel that their goals and objectives perfectly align with mine. After scrolling through their website and reading stories from previous changemakers, I knew I wanted to apply to their 2018 mission. I am beyond grateful to have the opportunity to be volunteering as a Project Management Associate at the Institute of Regional Development and Governance (IRDG) in Kilinochchi. IRDG focuses on the implementation and knowledge transfer from the diaspora community and provides the opportunity for them to play a role in the post-war recovery. As a member of the diaspora, I am hoping that I can transfer my knowledge and skills to assist local institutions to prepare for the challenges of post-war recovery and serve as a resource centre to provide fact-based research information and knowledge. I believe that this placement will be an opportunity of a lifetime. I am hoping to learn more about the effects of the war and the specific areas that require the most attention. I will not stop my involvement with comdu.it and sustainable development in North and East Sri Lanka after returning from my placement, as I would love the opportunity to become a comdu.it volunteer as well. Using my acquired knowledge and skills, I will try my best to provide as many suggestions to both future changemakers and comdu.it to better serve our homeland. Stay tuned to this blog to follow Tharsica’s work in Kilinochchi this year.